After years of growth and work to become the finest company in our field, Wiring Solutions is pleased to offer a security monitoring promotion that will ensure your family and assets remain protected for life…. and free of charge at that! There are many companies offering a rewards program for everything from coffee to laundry soap. The time is right for a rewards program in the security industry. Here it is! The alarm monitoring market is full of companies that spend a lot of money advertising to tell you how good they are. In over fifteen years Wiring Solutions has relied on the very best form of advertising… word of mouth referrals from people who have been pleased with our quality and performance. It is the truest form of advertising as people will not tell their friends about you if they don’t believe in you. We are proud to announce a customer loyalty program like none other in our field. A lifetime monitoring agreement with a twist – it’s FREE! The program is not meant to be overly complicated, and can be explained in a few simple steps. First: Become an alarm monitoring customer of Wiring Solutions. Second: Refer friends, family, co-workers…anyone to become a customer. For each person referred that becomes a customer we will credit your account two free months. 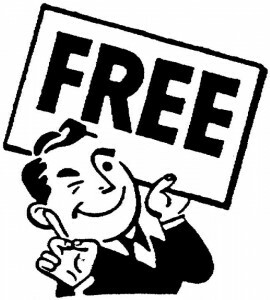 Third: Upon the seventh customer referred, your account will become completely free of charge! It could not be simpler to protect your family and assets – quite literally – forever! There is no sign up needed, no program to join, and no complicated enrollment process. If you are a Wiring Solutions customer you are automatically enrolled. There is no time frame to this offer, no expiration date, and no time limit in which you need to refer people. Referrals are added to your account history, and we will monitor the growth for you. There is really no additional work needed on your part to take advantage of this spectacular referral program. However, to ensure a referral you make is accounted for it is recommended you ask your referral to make us aware when they call in for service. You are also welcomed to make us aware of your referral just to ensure proper credit is given. The Legal: Lifetime Free Alarm Monitoring holds no direct cash value to the account holder and cannot be exchanged or substituted at any time for cash, alternative goods, or services. Monitoring is non-transferable to another individual or entity from the account monitored at the time of free service initiation. Wiring Solutions will move the service as the subscriber moves; however, a service transfer fee may apply. Subscriber must reside in a Wiring Solutions service area to take advantage of free monitoring. Monitoring outside of a Wiring Solutions service area (if possible) may require an installation fee, but the monthly rate will remain free. Offer not valid with Wiring Solutions Employees, contractors, third-party vendors, and certain customer accounts (home builders, apartment managers, etc…) as overlapping offers may be in place. Account being credited the free monitoring must be in good standing upon referral of the seventh account. Accounts will be credited after the referred account becomes installed and active for 90 days. Wiring Solutions is not responsible for omissions, errors, misunderstandings, or misinterpretations that result from this or any other offer or promotion.